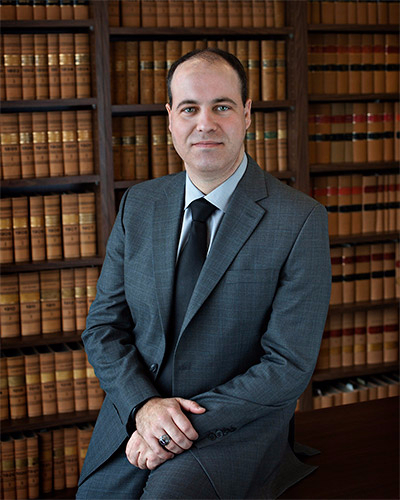 Fil is a Partner who practices insurance law, municipal defence law, and personal injury law. Fil was born and raised in London, Ontario. He attended law school at Western University, graduating in 2005. Fil articled at Madorin, Snyder LLP and returned to the firm as an Associate after his Call to the Bar in 2006. Fil is fluent in Portuguese, having learned to read, write, and speak the language at an early age. Fil lives in Waterloo with his partner, Lindsay, and is an active member of the local community, volunteering some of his time with the Reading Buddies program at the Kitchener Public Library and on the Board of Directors for Kitchener Housing Inc.
Fil is also the President of the Waterloo Region Portuguese Business and Professional Association, and the Chair of the Board of Directors for Camp McGovern, a charity that provides a unique and supportive summer camping program for children connected with Big Brothers/Big Sisters, foster families, and families served by United Way agencies.